Biography: An early advocate of mind-body practice, Jacqueline Harvey has more than twenty years of experience in the sector. She has the unique ability to get right to the core of each client’s needs thanks to her broad range of life experiences and her practical knowledge of what makes people tick. These key attributes together with her down to earth, compassionate and reliable approach to dealing with life’s challenges keep Jacqueline much in demand. In the workplace Jacqueline’s team building skills facilitate a proactive and positive environment and her drive and awareness achieve great results in both personal and corporate growth. 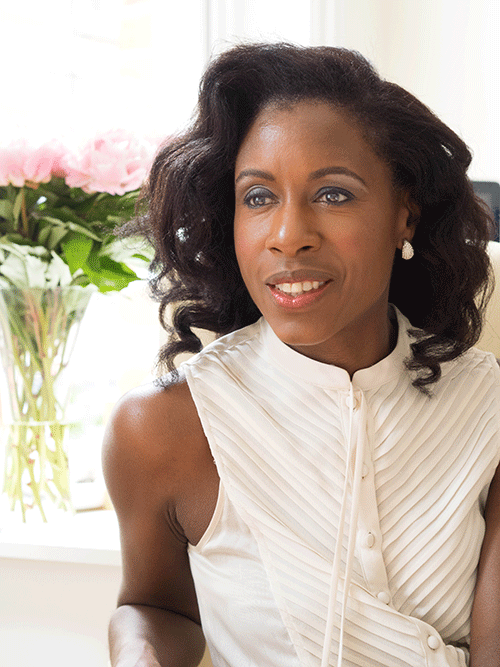 After completing her degree, Jacqueline became the Health Director at INC Space in Covent Garden and she successfully launched several fitness and mental health classes including Ma’At – mind-body stretching, Ultimate Cardio Sculpt and Developmental Meditation. Jacqueline’s approach is entirely holistic in promoting combined mental and emotional health with physical fitness. The unity of mind, body and spirit is at the core of Jacqueline’s ethos; having read Sociology and Philosophy at Goldsmiths her approach is grounded in both practical and emotional guidance. Her aim is to inspire people to take an individual, natural route to health and wellbeing, providing the tools that lead to long-term, harmonious wellness that go beyond the fad-diets and exercise-centred regimes that are prevalent in the media. It is Jacqueline’s belief that we cannot change our health status without also considering lifestyle. Stress, depression and many other emotional conditions can be positively affected through a well-rounded health regime – including nutrition, exercise and mentoring – and her tutelage guides clients to understanding their health as akin to a triangle, with each angle representing physical, mental or emotional health. All three sections must be balanced in order to achieve a healthy state of wellbeing. Jacqueline has presented seminars and lectures for private members clubs and luxury brands such as Ferragamo and Quintessentially and companies such as YSC. National television and radio appearances as a media health expert include BBC, ITV and Channel 5 and she was a health advisor on BBC Radio London’s Late Show. While continuing to offer comment for broadcasts Jacqueline is also the author of three books; Your Health is Your Wealth; Boost Your Energy in Four Weeks, published by Essentials Magazine; and Body Cycles, first published in 2016, with an updated second edition released in 2017.